Digital Media FX interview with Blue Dream Studios founder Scott Christian Sava. Scott Christian Sava is founder of the newly formed Blue Dream Studios. 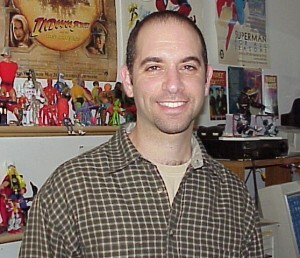 Sava has an extensive experience in the animation industry, including direct involvement in dozens of animated TV series, shows, and direct to video productions. For the direct to video Casper productions, Sava animated Casper, Fatso, Stinky, and was Lead Animator on Stretch and Snivel. 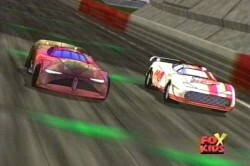 Two of Sava's recent projects have been the NASCAR Racers and Xyber 9 animated TV series. Recently, Digital Media FX (dFX) caught up with Sava (SCS) to discuss his new studio and current projects. dFX: Before we talk about your history and future, lets talk about the present. What is Blue Dream Studios and what separates this new animation production facility from other animation houses? SCS: Character! That's what I want my contribution to be to this industry. There are literally dozens of studios here in LA who can do photo-realistic this and that, some great effects, and the likes. What I don't see too often is good quality character animation. What we've been doing so far is trying to bring characters to life when we take on a project. We don't just do the job, we get in the character's head, think about how they're gonna do what they need to do and why they're doing what they're doing. They're virtual actors and we need to treat them as such. dFX: Who are some of the key players on the Blue Dream Studios team and what initial projects is the studio working on? SCS: Other than myself, my wife Donna handles the day-to-day operations as well as business development and publicity. In addition, we have a full complement of talent that we have been working with from modelers to graphic designers and even musicians. As for recent projects, we just finished work on a Playstation 2 title for 3D0 called Heroes of Might and Magic. For this project, we completed over 100 animations for their in-game characters which included Dragons, Giants, Elves, Ogres and more. In addition to that we wrapped up the 2nd season of Fox's Hit Saturday morning cartoon NASCAR Racers! Working with Kent Butterworth and Saban's talented CGI dept. we were given the task of animating the CGI race cars, which were rendered using a cartoon shader to blend in with the 2D animated characters! 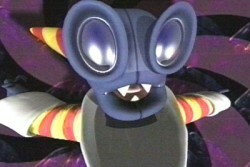 We also have 4 brand new animated series that we're currently in talks with several studios about co-producing  Mighty Mites (co-created with comic legend Marv Wolfman), Bugsters (CO-created with Tim Russ "Tuvok" from Star Trek Voyager) , Armageddon Gang (CO-created with Mark Altman who brought you Free Enterprise and The Specials), and The Lab (a Blue Dream Studios original project). dFX: : What can you tell us about your original project, The Lab? SCS: The Lab is a story that came about when a great friend of mine Robert Diaz and I were brainstorming some fun ideas for characters. We were trying to think of something funny to do and I remembered an old National Geographic where they had these poor women whose job it was to test deodorant by smelling these guys armpits! The picture had a bunch of guys with their arms in the air and these women with their noses in the guy's pits smelling and a clip board to write down their notes. Well that image I guess stuck with me and from there I came up with a couple of characters who's jobs are lab testers. Livingston is the English mole who has the prestigious job of armpit sniffer. Estebon is a New York-Puerto Rican Weasel who is a tester in training. He has to work UP to armpit sniffer, so he gets the really crappy jobs, like testing adult diapers or perfume in the eyes. The characters are a lot of fun and I hope to develop them more in the future. Currently the project is part of our package of series we're developing...and currently we're aiming the Lab as a game show. It's pretty fun! Look for Estebon and Livingston soon. dFX: I understand that Blue Dream Studios has assembled a resource of animators, musicians, and graphic designers from around the world. If everyone is not in-house how do you overcome the challenge of coordinating such a wide geographical area into one project? and much more who either work in house or from their own studios all over the world. We've done some very successful spots using talent from the east coast, Canada, and even Singapore. The great thing is you're not limited to local talent  you can pick and choose the best person for that particular job, no matter what their location. Coordinating it isn't as hard as it seems. Thetrick is to find people that are reliable and trustworthy. I work with some very talented people who I can always count on to have the work done on time. For example, we've done projects where we've been given a week to do a full commercial spot and the model was created in LA city then setup for bones and IK in Canada the next day it was animated here at Blue Dream then sent back to Canada for Soft Body Dynamics (making the clothes react to the character's movement) then back to LA for rendering. It sounds like a pain, but our talented partners are just a phone call or an email away. There was no one locally who could have done what Paul Mikulecky and his studio did, in the time he did it, to the level of quality we needed. So what if he's in Canada. We got the project done ahead of schedule and the clients (Sony and Fox) got more than what they asked for  a rapping clown who dances and sings his way through a Sony Playstation commercial. With broadband and the Web our studio can span the globe. dFX: So do all your freelance workers use the same animation software package and, if so, which do you use? How is final rendering handled? SCS: Yes, they all use the same software. Currently it's LightWave, though we're looking into better software for character animation. As for the final rendering, it depends on the client. Sometimes they want to do the final rendering on their farms, but most of the times we do it here. dFX: Let's take a step back. You've been involved with dozens of high-profile animated productions and series. Looking back, which was the toughest to work on and what made it so challenging? SCS: A couple of years ago I was commissioned to do a commercial for a Hip Hop/Rap artist called Master P. He had just come out with an action figure and wanted to promote it. The producers contacted me and we came up with the idea for a space theme. Master P wanted his gold tank in the commercial somewhere (yes, I'm told he really owns a tank) so I created a space-faring tank for him. From the beginning, I tried to do the whole commercial myself from modeling, texturing, lighting, animation  everything. Although I think the final commercial was a success and Master P loved it, I learned a lot from that project. I realized that you can't be great at everything  you just can't. So from that day forward, I dedicated myself to being the best character animator I could be and started teaming up with the best modelers, texture artists, lighting and rigging guys, compositors, and techs around. My life has been much easier and the work has been so much better since. In addition, my character animation has improved drastically because I'm only concentrating on things like timing, weight, anticipation (and other animation techniques) and not bump maps and radiosity. He added subtlety to the performance of his characters, so that they were as much alive as the 'Live Action' actors they shared the screen with." What is the secret to making an animated character so alive? SCS: I think you have to be an actor yourself and a bit of a ham! It's funny, but when I get a character to animate, I always look at the character then back at the director and say, "what's his motivation?" Who is this clown? 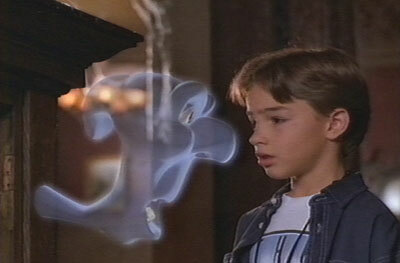 Or who is this Ghost? Why is this robot so angry? It's corny, but it gets you into the head of the character you're animating and that's where the personality comes out. I was the lead animator on Stretch for Casper a Spirited beginning and through the development of the movie Kent and Sean McNamara (the director) started to notice some unusual character traits for Stretch. Stretch was turning Italian. As I would act out the scenes to animate each day, I would look in the mirror and act out the lines along with the recorded actors voice. What would come about was my hand gestures and mannerisms. The fun thing about a movie or a long running series is creating mannerisms and character traits for your characters. Developing personalities is such an important part of what we do and I love every minute of it. dFX: Recently Marv Wolfman said that his studio Wolfmanor Entertainment was collaborating with Blue Dream Studios on a new animated series called Mighty Mites. What's the scoop on Mighty Mites and your involvement with this project? SCS: Marv and I have been wanting to work together for a while. We both love comics and we both love working in animation, so we put the two together and Mighty Mites came about. Originally Marv approached me with this great idea for a series and we've been toying with it for a while; working up sketches and stuff. I've finally found time to put together a two and a half minute short for it and we're currently wrapping up the last shots. It looks great and I can't wait to get the show into full production. Keep your eyes peeled for it coming soon! dFX: How hard was it to open up your own animation studio and what were some of the biggest obstacles you faced in establishing Blue Dream Studios? SCS: Opening up your own studio takes above all things  risk. We tried to minimize that risk by building a strong and diverse client base ranging from movie production, commercials, TV shows, and even games. Then the finances have to be there. That's never easy, but we've been blessed with a lot of work the last two years and we've kept expenses down. Now we're just hoping that our hard work pays off and that we can continue to grow and create some great work! dFX: Blue Dream Studios is doing animation projects with other production houses, animation projects for bigger studios, and its own original series; yet Blue Dream Studios is a brand new animation production company. How do you plan to meet the demand? SCS: Well, sleep is highly overrated. It's a lot of work for me, especially right now since I have to have my hands in everything. But we've got a lot of very talented freelancers who I know I can depend on for outstanding work and quick turnarounds. Also  and I think this is the most important thing  if we know we can't do a job to the absolute best quality possible, we won't take it. Even if we could really use the job, or it's a high profile project  if we know we can't make the client happy  it's not worth it. I've made it a goal to always try to give the client more than they ask for. Always make them feel like they got more than they paid for. We will continue that with Blue Dream. dFX: Do your animators do any traditional animation or is it all computerized? And outside of LightWave what other types of software do you use for your animation work? dFX: What do you mean by 2D work creates a whole can of worms you don't want to deal with? What type of problems have you had in this area? SCS: Oh, I haven't had any problems with it. I just respect it so much that I wouldn't even want to try to fool myself into thinking I could handle it right now. 3D is hard enough without trying to develop a system for 2D animation for a project. Whenever we do work with 2D animation, like with Xyber 9, Digimon, or Nascar Racers, it's almost always given to us as elements and we composite them with the 3D art. It works well with our Toon Shaders and always has a nice look. dFX: Many of our readers are aspiring animators who would love to work on projects like those that you oversee on a daily basis. What advice do you have for aspiring animators who want to break into the industry? SCS: Ok, this is really simple. I know too many talented artists who are unemployed for 1 reason  no portfolio! Whether you're currently employed or not, you should always be working on your portfolio. Always improve; you're never good enough. I remember working on a project with a bunch of other artists and I was really nervous because it was my first big character animation project. So I was studying everything I could, asking everyone for feedback, practicing when I got home, watching movies, etc. The other artists didn't even want feedback on their work. They argued when they were given comments by the director, yet they didn't know anything about animation. My theory is this  always figure you're not that good no matter what people tell you. Stay humble and keep looking at work that inspires you and keep trying to reach those goals. Otherwise you'll be just like those poor other guys who are absolutely clueless, but they think they're all that! Never be satisfied your work and you'll continue to grow as an artist. Also, with the Web it's much easier to meet people in the industry. Join mailing lists, visit good Websites, put your animated shorts up on the Web for everyone to see. Just keep working! Keep expanding your portfolio and keep growing. dFX: If one of our readers felt they were a perfect fit for Blue Dream Studios, what is the process that he/she would follow to apply for a position with Blue Dream Studios? SCS: Go to our Website: www.bluedreamstudios.com and contact us through there. We usually like to see work on the web first (quicktime movies, avi, or mpg). We're looking for Modelers, Animators, Texture Artists, etc. Just don't email us huge files; we hate that. Contact us first and send us URL links to the movies. If you need to send files, then please ask us first. dFX: Scott, thank you very much for your time and for sharing your insight with the readers of Digital Media FX Magazine. Good luck to both you and Blue Dream Studios. SCS: My pleasure! See Ya Soon! > Access a Printable Version of this Interview.